Let the Good Times Roll is a portable Limited-Edition 'Sweet 16' Travel Eyeshadow Palette of 6 shadows, plus a cruelty-free mini Shadow Brush. Celebrate PÜR’s Sweet 16 with a party in a skincare-infused, travel-friendly eyeshadow palette. Good things do come in small packages. Small enough to fit in your clutch, powerful enough to last all night, Limited-Edition 'Sweet 16' Travel Eyeshadow Palette + Shadow Brush is your secret weapon for effortlessly keeping eyes looking flawless throughout the day and before a night out. 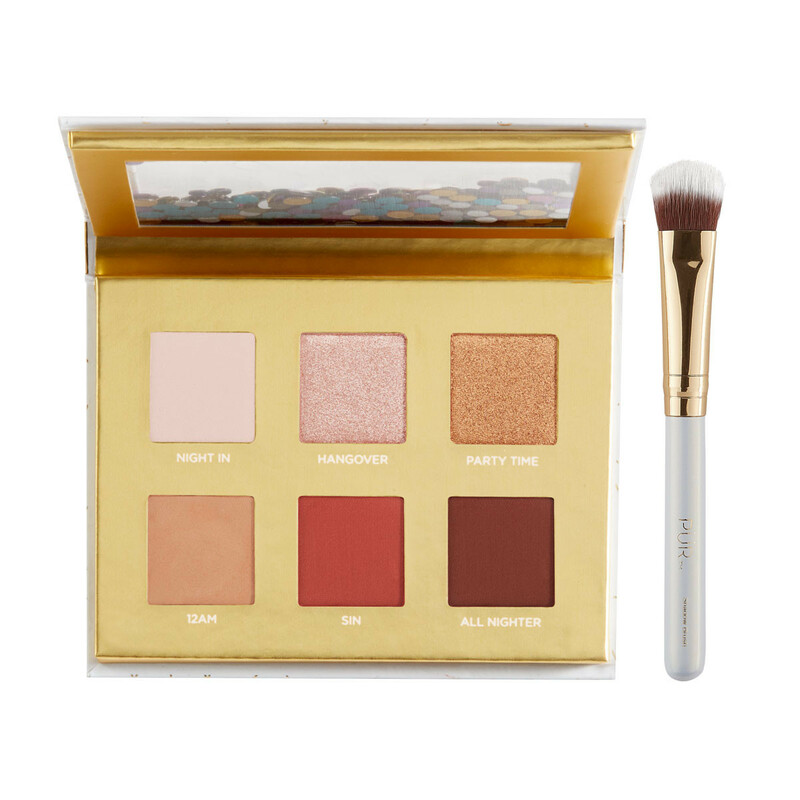 The portable design allows the mini matte, shimmer and metallic eyeshadow palette to go wherever you do... it's a makeup palette must-have! Like all PUR products, the velvety smooth eyeshadows—in 6 on-trend, must-have creamy shades—are formulated with clean, good-for-you-skin ingredients. The fun, travel-friendly confetti packaging is inspired by our celebratory mood. A mini, cruelty-free eyeshadow brush is included for soft, stay-put application. Let the Good Times Roll! For a subtle wash of color, apply your favorite shades with the included eyeshadow brush. For a more dramatic look, dampen the brush for intense color. Apply Get A Grip Endurance Eyeshadow Primer over eyelids before applying eyeshadow. The eye primer ensures a smooth application and enhanced color payoff with less product. This allows you to hold on to your eyeshadow all day or all night. Absolutely beautiful make-up pallet . The shadows are so creamy and smooth to apply. They are very pigmented and easy to blend. The shimmer shades are gorgeous and are easy to pack onto the eyelid. Overall I absolutely loved the pallet and it is great for a going out look or possibly during the day. I definitely recommend it! Love this little palette! Easy to use, very pigmented, and great for on the go. It is also great for an affordable gift.